Today is a rather special day in history, whether you're American or not, and this special day deserves its own special blog post. In case you aren't aware of the significance of today, it is the 50th anniversary of the assassination of the former President of the United States, John F. Kennedy, in Texas. He was one of the most well-liked Presidents in US history, and will always be remembered as one of the great young minds that died far too young. With that said, let's see how well I can weave this into a blog about plants. The cornflower, also called the bachelor's button or the common cornflower, is native to Europe where it historically grew like a weed. It prefers highly disturbed areas like prairies (historically, the sustaining life source of a prairie was fire which wipes out much of the herbaceous growth, allowing new species to colonize the area), which is why it can sometimes be seen growing alongside the Flander's poppy, as seen in the fourth image above (I thought that was rather fitting, since both flowers are now considered the flowers of remembrance depending on which continent and/or country you're from). Unfortunately for the cornflower, it also thrives as an agricultural weed since agricultural fields are, by default, highly disturbed areas. They are plowed every year which encourages weedy plants (or plants that can grow very quickly) to move in and colonize the area. Because of the intense amount of herbicides that are applied to agricultural fields, many of the once-ideal habitats for cornflowers are now being lost. 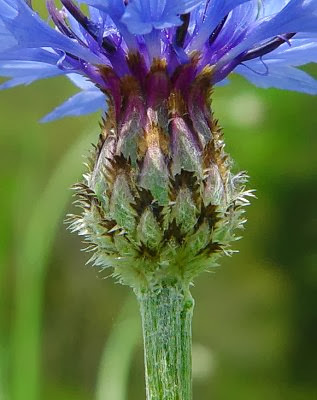 This has led to the placement of the cornflower onto many endangered species lists across much of its native range (the population in the UK has gone from 264 sites to just 3 sites in 50 years; also a rather fitting time of measurement). 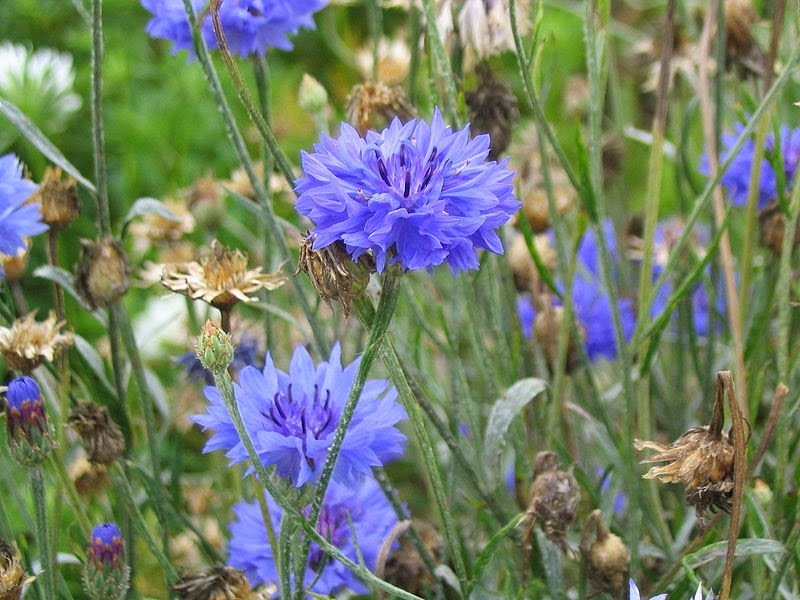 Fortunately for the cornflower, it's not about to go extinct any time soon. It has been introduced as an ornamental species in North America, and parts of Africa and Asia where it is considered a naturalized species (locally invasive in some areas). In Australia it is a pest species. In fact, because of the planting of this species ornamentally it was recently featured near the top of the list of the top 100 species that have the potential to be brought back from the brink of extinction. With proper rehabilitation efforts and the protection of prairie habitats across Europe, this species could once again thrive. 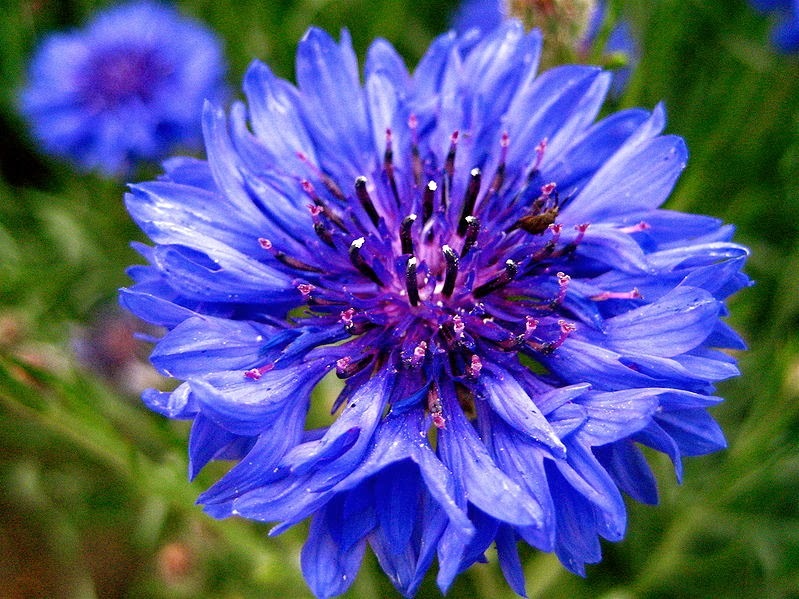 The petals seen in the cornflower aren't really petals at all. The "flower" of a cornflower is a compound flower, or a flower head. Each one of the "petals" is called a ray floret, and each one of the dark purple wispy bits on the inside of the flower head is called a disc flower. This is the typical flower head (or inflorescence) structure of flowers in the aster or sunflower family. 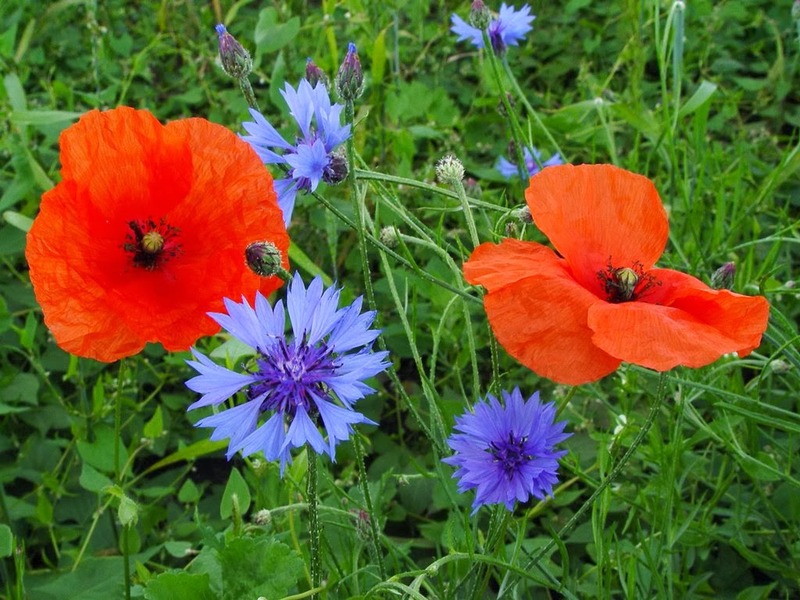 Aside from being the flower of remembrance in the United Kingdom and much of the rest of Europe, cornflowers hold special meaning to JFK. 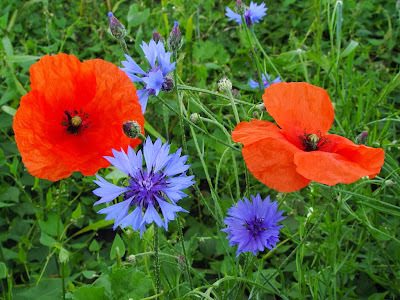 Not only was blue his favourite colour, but on those days when he wore flowers on his lapel (which was quite often) they were always cornflowers. 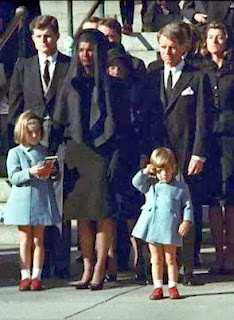 In fact, on the day his son, John F. Kennedy Jr., was married he had cornflowers pinned to his lapel and cornflowers were featured in the bridal bouquet and in every centrepiece as a symbol of remembrance for his father. 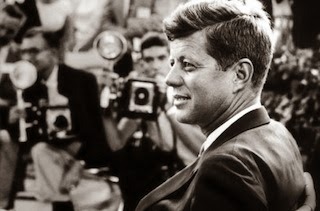 I often wonder what the world would be like today if people like JFK and Martin Luther King Jr. were still alive. Would gay marriage be an issue? Would it be a bigger issue than it is today? What about poverty and homelessness? Drug use? 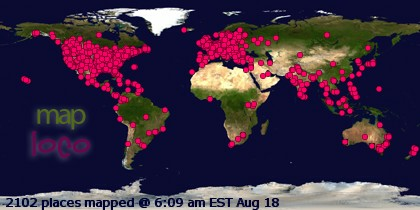 I guess it doesn't do much to hypothesize about how the world would be different, but instead try to make it different. Push the envelope to do better, to be better.